*Please note: All seating is high top tables, except for the ADA seats at tables 9 & 39. Ticket Price of $25 Includes Lunch or Dinner and the Show! 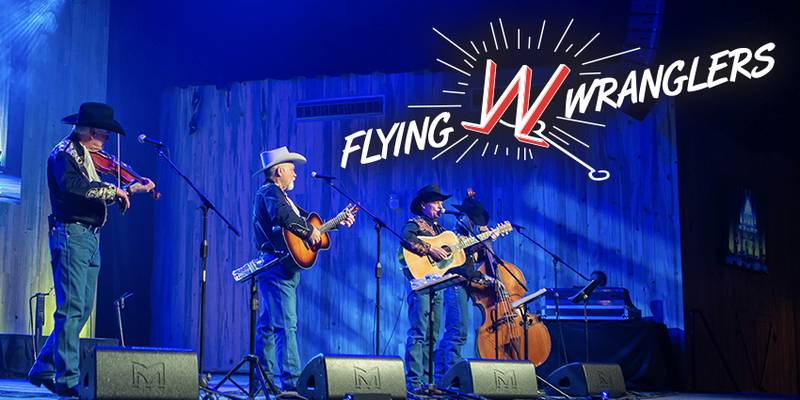 Join us at Boot Barn Hall every Sunday in April (excluding Easter) for a show and meal with the Flying W Wranglers! The Flying W Wranglers are a household name here in Colorado Springs and we are excited to have them at Boot Barn Hall every Sunday in April. They are the World's Second-oldest Western Singing Group and you might know them from the Flying W Ranch where they stole the hearts of many with their western flair and fun hits. Come on down for a great time! Meals include: choice of pulled chicken or pulled pork, baked beans, applesauce, roll, and a nonalcoholic drink. © 2019 ShowClix on behalf of Boot Barn Hall at Bourbon Brothers. All sales are final. Tickets are non-refundable.